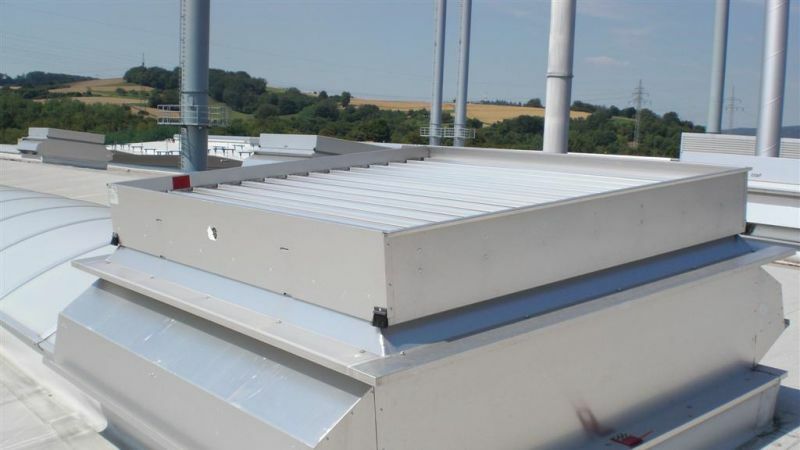 A Weatherlite ventilated upstand is well suited to most industrial buildings. 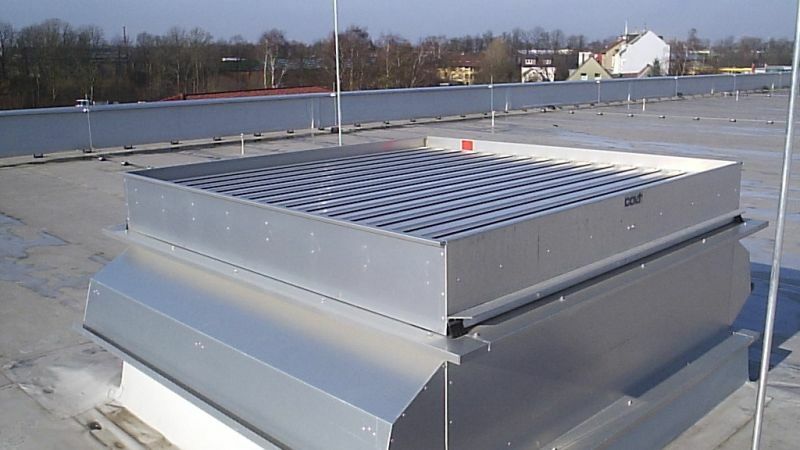 It provides continuous weatherproof ventilation through its two controllable side dampers irrespective of the weather. Weatherlite has either pneumatic or electric controls. Actuators open the side dampers in case of rainfall. When the rain stops these are closed and the ventilator placed on top of Weatherlite provides the ventilation. Although it is not in itself certified to any smoke ventilator standard, in no way does it affect the performance of the ventilator placed above it as assessed according to the EN 12101-2 standard. The dimensions of a Weatherlite ventilated upstand is determined by the dimensions of the ventilator placed on top of it. High performance - Weatherlite is aerodynamically efficient and has a high resistance to weather. 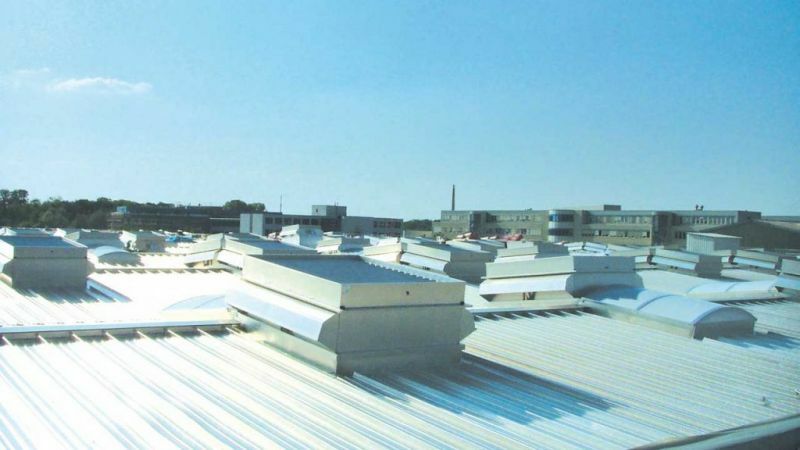 Insulated panels option – Weatherlite (including its dampers) can be fitted with insulated panels to reduce heat losses. Other options - Where only weathered ventilation is required, Weatherlite is also available without controls with a sheet metal top section. In this instance no rooftop ventilator is supplied. Bird guards and fly screens are also available. Easy to install - Weatherlite is delivered fully assembled to site and may be installed at any angle from the horizontal to 45⁰. 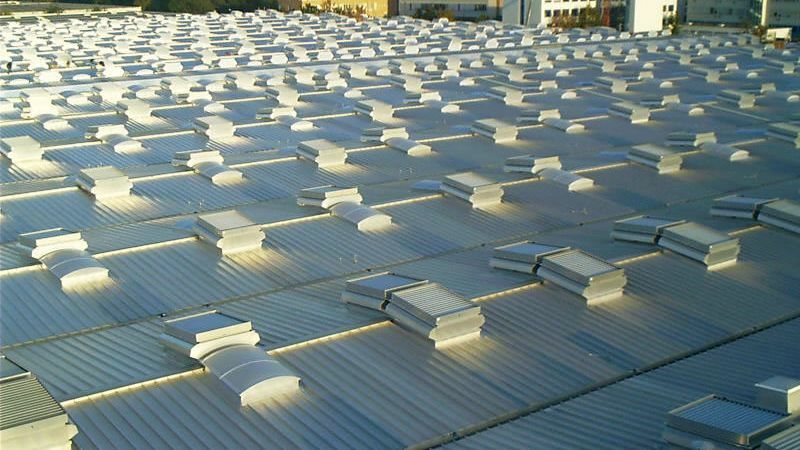 It has a wide range of base profiles to suit all sheeting, curb or glazing applications. Durable - Weatherlite is manufactured from tough, corrosion resistant aluminium alloy, grade 3005 in accordance with EN 573-3, with stainless steel fixings. Louvres pivot on double nylon UV- resistant bearings. It requires very little maintenance. Quality of manufacture - Weatherlite is manufactured under the ISO 9000 quality standard. Each unit is given a functional test before despatch.